Get the cheesecake. The girls are coming back! 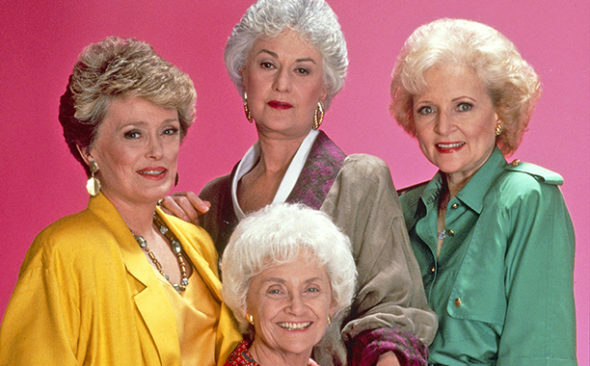 Hulu has acquired all seven seasons of The Golden Girls TV show. That’s 177 episodes of Dorothy, Rose, Blanche, and Sophia to stream on a television near you, beginning February 13, 2017. A top-rated program for most of its broadcast run, The Golden Girls starred Bea Arthur, Betty White, Rue McClanahan, and Estelle Getty, as four older women, sharing a home in Miami. The Golden Girls originally ran on NBC from 1985 to 1992. White, McClanahan, and Getty went on to star in the spin-off, The Golden Palace, with Don Cheadle, Cheech Marin, and Billy L. Sullivan. It was not to last though, as CBS cancelled the spin-off after one season. The Golden Girls: the Complete Series drops to Hulu on Monday, February 13, 2017. You will see the biggest gift will be from us when every episode of Golden Girls comes to Hulu February 13th. Thank you for being a friend. This all-time favorite comedy series focuses on four women spending their golden years in Miami, who share their house, their stories and a whole lot of cheesecake. The stars of the show Beatrice Arthur, Rue McClanahan, Betty White and Estelle Getty form the perfect circle of friends, and bring laughter, tears & fun for an audience of all ages. What do you think? Do you remember The Golden Girls TV show? Do you plan to stream it, when it drops to Hulu? Let us know, below. More about: Hulu TV shows: canceled or renewed?, The Golden Girls, The Golden Girls: canceled or renewed?